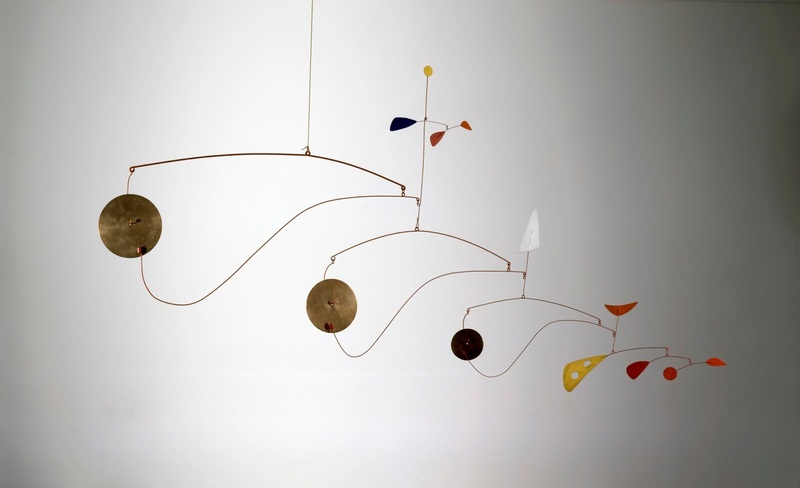 Some of the most important creations of one of the pioneers of kinetic sculptures and a man considered as one of the ground-braking artists of the Twentieth Century define the pathway of one of the largest exhibition dedicated to Alexander Calder (1898-1976), an american sculptor. 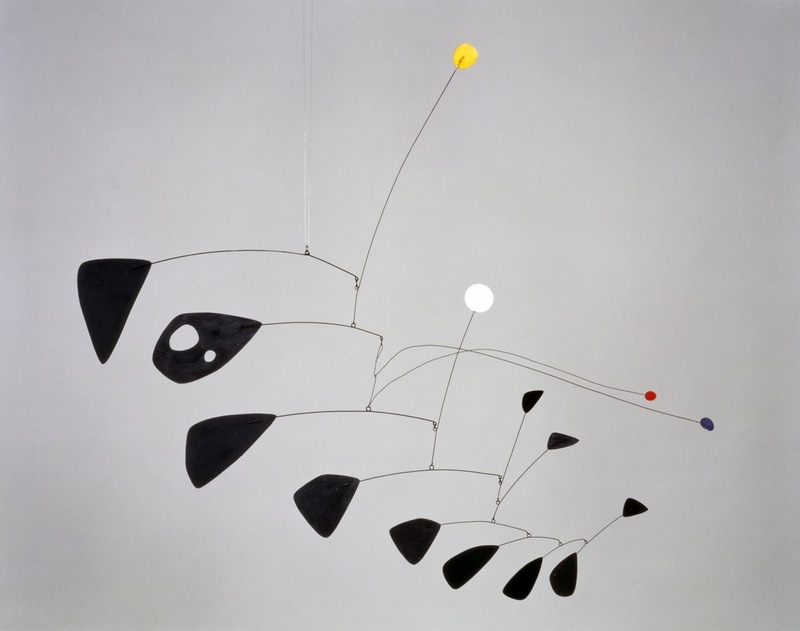 The exhibition hosted by the Tate Modern in London aims to re-discover and present the artistic production of Calder with approximately 100 works that reveal how the artist turned sculpture from being a static object into a continuously changing work which has to be experienced in real time. 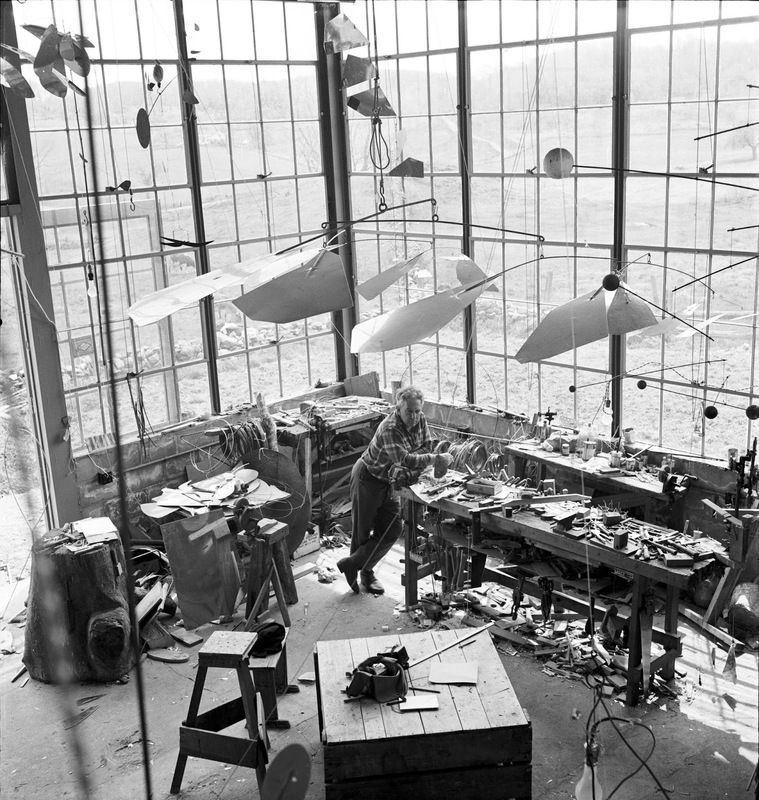 A key element that helps comprehend the work and the role that Calder had on offering a new vision of sculptures is rooted in his past. In fact, before attending painting courses and before deciding to devote his whole life to art, the artist trained as an engineer. These technical skills are a key element that we can easily notice now by looking and observing his in-motion sculptures. Not only he was influenced by his past studies, but also by Piet Mondrian, who he met during a visit to his studio in 1930. In this occasion Calder got in touch with a new perception and vision of the space: the environment as an installation. 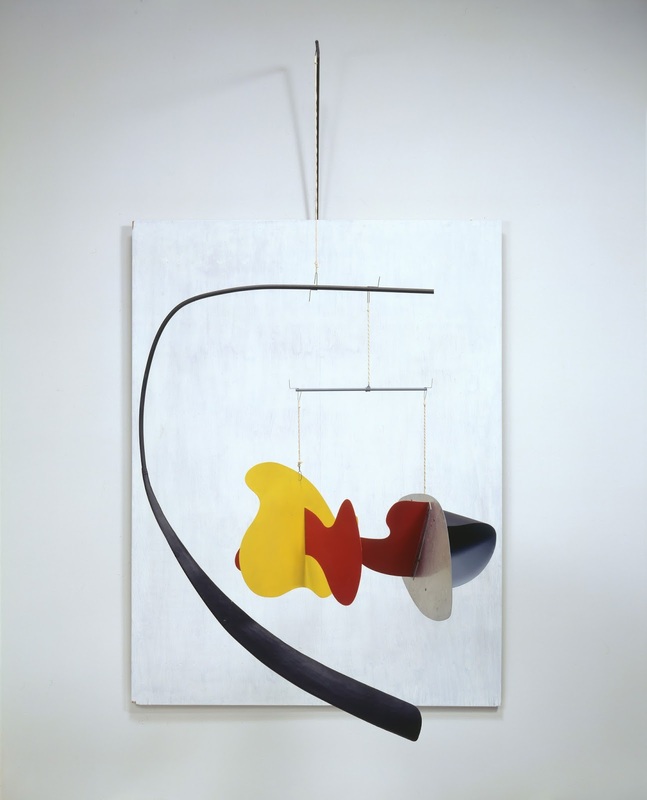 After that, the artist started creating abstract and three-dimensional kinetic forms which, suspended and vividly colored, hung on a wall or in front of other panels, in order the ease the movement of the objects. 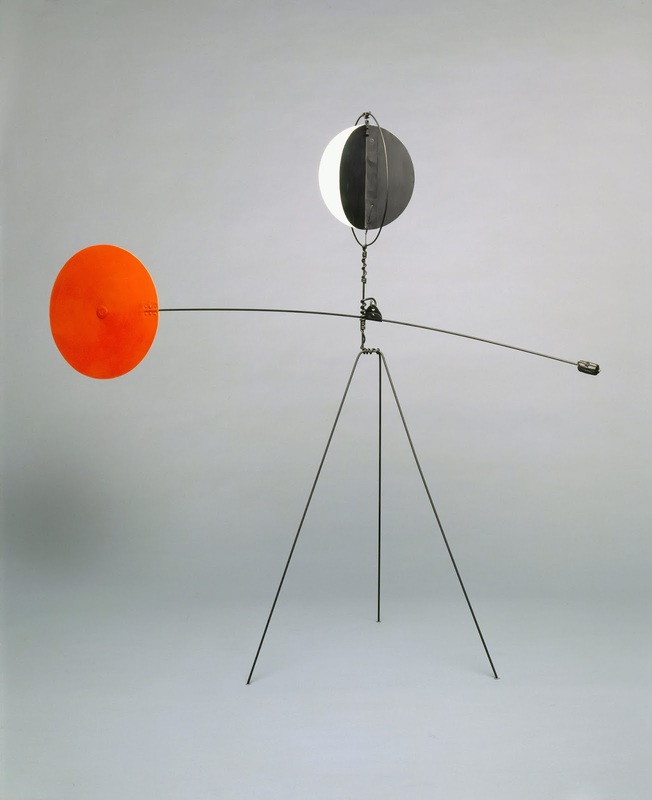 During his whole career, Calder reviewed the possibilities of sculptures along with avant-garde developments in theatre and dance. These two disciplines have been involved in the artistic production of the artist. In fact, he incorporated elements of choreography and sound in his artworks, in order to radically change the principles of traditional sculptures, giving birth to dynamic sculptures that chime and resonate.